If you are an avid iPhone or any other apple product user, then inevitably it would be quite an unwilling way to switch over to any other device for your usage. And this is quite obvious for the remarkable excellence iDevices have set in their reputation so far by millions users is truly unparallel. In fact iDevices are the only devices capable enough to beat Android OS in competition. Now in spite of such a hiking growth, there are various issues which still cling onto its fame. One such issue that lately users have been encountering quite often is iPhone getting Stuck on Apple logo. The screen freezes the moment the Apple logo appears, and you cannot turn it on or turn it off either and get stuck in between totally idle. There could be several viable reasons like hardware problem, iOS jailbreaking, restoring from iTunes, data transfer between iDevice and computer, system upgrading, etc. Now unfortunately experts are not completely sure of any of these and it is only hypothesis that their diagnosis is based upon. But there are many solutions available for this uncertain issue, 3 of which are detailed below in the article. A lot of websites tell you to reboot or hard reset iPhone if it was stuck on Apple logo. But this won't work at 90% of times. If this really fixed the problem, you won't be that silly to land on this page. So in this tutorial, we will skip this part and focus on what really works. 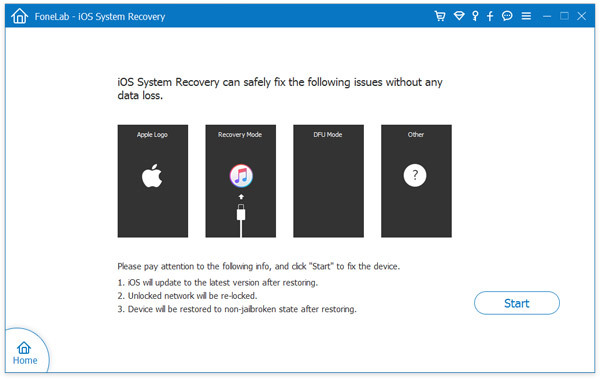 Basically, if you have taken a backup of iPhone, iPad or iPod, then you can simply boot the device into Recovery Mode, the recommended way to fix all kinds of system issues. 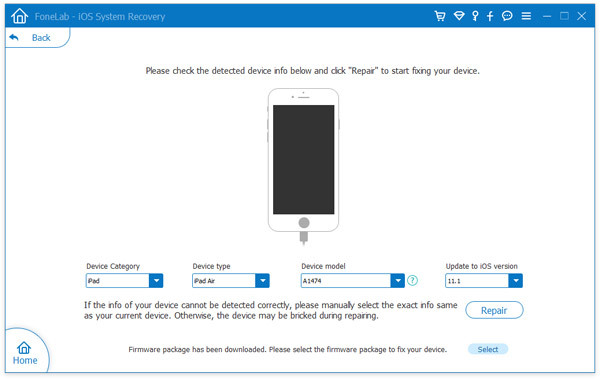 Recovery mode enables the device to communicate with iTunes and do a fresh restore of previous backup. Step 2: Turn off iPhone and plug the iPhone to computer with USB cable. Step 3: Hold on Sleep and Home button at the same time for 10 seconds. When the "Connect to iTunes" screen appears, release the buttons and iTunes will detect the device in Recovery Mode. Step 4: A small winodw pops up asking you if you would like to update or restore the iPhone. Please choose Restore at this time. Once iPhone was restored, it should be back to normal. However, it is not 100% sure to fix the problem. If the problem still exists, please head to the next section. Besides reparing iPhone in Recovery Mode, a more robust choice is to boot iPhone in DFU mode. It is more complete and has higher success rate. However, this is more complicated than the above suggestion. So in here, we recommending using third-party software in case you would bricked iPhone if you did it manually. 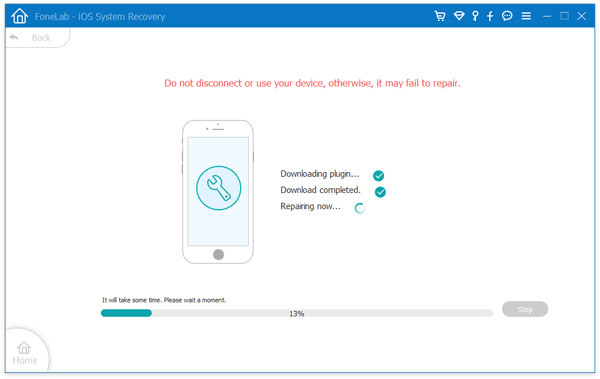 Androidphonesoft has developed a very famous iOS system recovery tool that can easily reset all your issues back to normal pace. Whether your iPhone is disabled, stuck in Apple Logo or white screen, damaged due to water, frozen for uncertain reason, this program can fix it and get your device back to nornal again. The tool supports all Windows versions, such as Windows XP/ Vista/ 7/ 8/ 10 as well as Mac computer and laptops. And here in this section we would basically use it to resolve Apple Logo stuck issue. Download the setup file on your Windows or Mac computer as per your preference and install the program using step instructions. Launch the program in your computer and connect the iPhone with your computer via USB cable. From the main interface screen, click on "More Tools" off the left column and then click on "iPhone System Recovery" on the preview mode. A new "iPhone System Recovery Mode" turns up. Click "Start" button to begin the fixing process. In order to do it perfectly you need to put your iPhone into DFU mode. 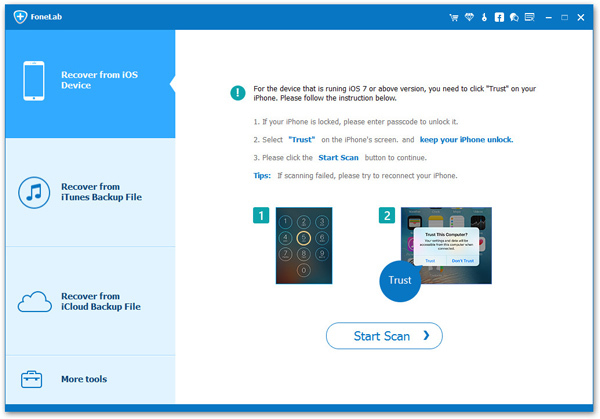 Next select the right iPhone model and then click "Download" button to download the repaired device plug-ins or firmware packages. When the plug-in download is completed, iOS system recovery will automatically fix the issue and your iPhone will work fine just like before. No data loss during the whole process if you followed the steps in above. However, the download process will take around 20 minutes to complete the download task. Please wait and keep the iPhone well connected. There are times when trying to sort out the issue all by yourself but simply messes up the situation to a much worse degree and that is when you opt for an expert advice or assistance. Thus instead of making situation worse, it is better to hand over the device to an authorized service center. The highly trained technicians can easily fix your problem as they have several advanced softwares and toolkits to do the job. Thus it would not take much time before your device gets fixed and you can relax since you know your device is in the safest hands for now. Since you purchase your iPhone device investing so much of money, you would surely not wish to let it become useless. Rather implement the methods and tricks explained in this article above and fix your problem. All the methods are equally effective in fulfilling your purpose, but the last method is the best amongst all the aforementioned ones, and you can rely on it for a guaranteed output.